Article first published as TV Review: WACO on Seat42F. You likely haven’t heard of the Paramount Network. After all, that network name has only been on air for about ten days. The channel formerly known as Spike TV, and before that, as TNN, has changed names once again. And with that change comes a new direction for the network, as evidenced by their miniseries WACO, which premiered this past week. I can’t imagine WACO airing under their past network names. WACO tells the story of the FBI and ATF seizing the Waco, Texas ranch of cult leader David Koresch back in the spring of 1993. The six episodes cover the lead up to the 51-day stand-off, through the event itself. The story as portrayed here is based on two biographies, one from each side of the conflict. The first was penned by David Thibodeau, a survivor who joined the commune about nine months before the famous proceedings. The other is from the perspective of hostage negotiator Gary Noesner. Both play significant roles in the miniseries, and it provides some balance to get the law enforcement and a commune member’s point-of-view. 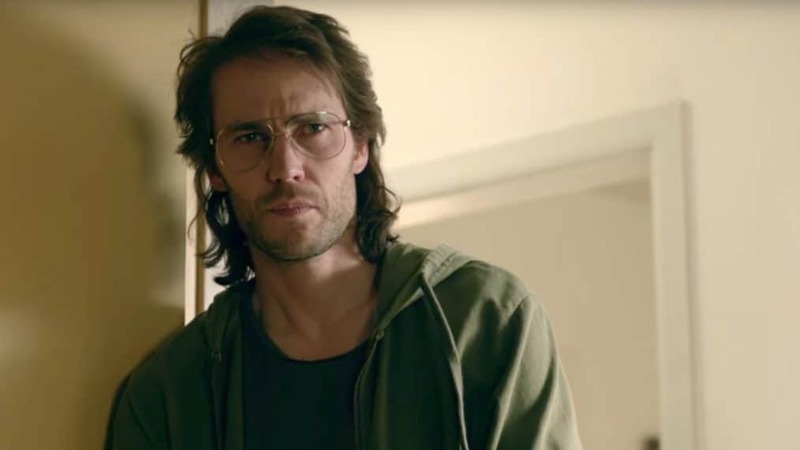 At the center of the cult is charming, relatable, earnest David Koresh (Taylor Kitsch, Friday Night Lights), a man who claims to have biblical visions. He has surrounded himself by many followers who buy into his words. Some, like Steve Schneider (Paul Sparks, House of Cards), are educated, and some, like Thibodeau (Rory Culkin, Signs) are not. WACO explores some of the mentality of a person who would follow Koresh, and how that can span across different demographics. Tension within the commune starts well before the feds arrive. David has made everyone swear themselves to celibacy, except himself and the women he chooses to lay with. He calls it a sacrifice, but his best friend Steve doesn’t appreciate it when his wife, Judy (Andrea Riseborough, Bloodline), becomes pregnant. Nor does David’s main squeeze, Rachel (Melissa Benoist, Supergirl), seem all that happy about her man fathering a child by someone else. So it is clear there are issues long before things get violent. At the same time, Gary (Michael Shannon, Boardwalk Empire) provides a look at how the FBI and ATF don’t exactly have it together, either. There is a culture that demands results and covers up mistakes. Funding is at stake, and not everyone seems determined to do the right thing to keep the money flowing. Gary is seen as the stereotypical hero, a man who will stick to his personal moral compass no matter what. Yet, Gary isn’t the one in charge. With all of the disagreements and political motivation shown, it’s no wonder that things don’t go smoothly when they’re asked to take down the ranch. WACO is an entertaining and compelling miniseries. A top-notch cast ensures that it flows and the characters are understandably complex. At the same time, the various elements thrown together here provide a pretty detailed, comprehensive picture of the situation. They foreshadow the things that go wrong by showing us how the event didn’t unfold in a vacuum, and neither side was perfect. I don’t seek to excuse a cult leader, and I don’t think WACO does, either. But it does try to be fair in its storytelling, and I think it succeeds pretty well at that. I liked the first episode of WACO a lot, and hope to catch the other five hours. If this smart, enjoyable, well-made series is the type of thing viewers should expect from the Paramount network, I think it will do its movie namesake proud and Paramount could become a cable player. Though it has awhile to go before we can call that for sure. WACO airs Wednesday evenings on the Paramount network through February. Star Trek: Discovery - Is It Worthy?